Eat Halal: Nature's Own Breads Halal or haram? There are no alcohol containing ingredients used in our Nature's Own formulas. Some of our products do contain butter from cows and some contain honey. L-cysteine is not an ingredient in the Nature's Own formulas. The Double Fiber 20 ounce bread contains Omega 3 from a fish oil source. 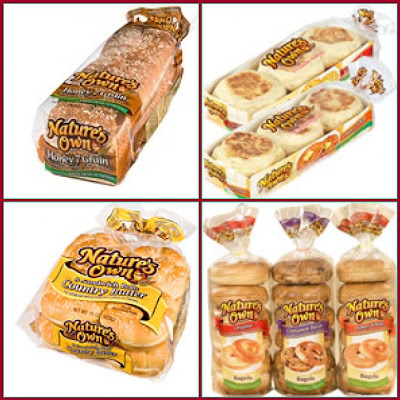 This response is for all their products (their breads, muffins, English muffins, bagels, buns, and rolls). If yo visit their website and select a specific product, it will list the ingredients there for you.